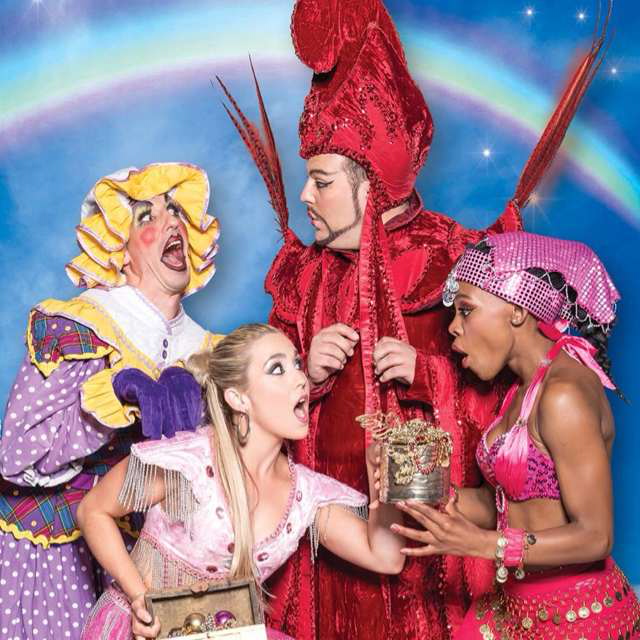 …and with magic in the air & glitter everywhere, #AladdinPanto weekend has arrived! I have been holding back on writing this blog as I experienced such intense personal fulfilment, I almost wanted to keep it to myself. A pearl of wisdom and inner wonder. I have recently awoken to some personal flaws within myself and my interaction (and reaction) to the world. While holding onto the essence that is me, operating in a world without conforming, but respectfully visiting within the spaces and places I find myself – this revelation has added a calm balm to my soul. Change has intensified my enjoyment of situations, people and places. A behavioural shift, a different approach and ridding myself of a coping mechanism, is a work in process as you can imagine. I love the rolling red carpet steps as you walk up to The Mandela Theatre. It hold such regal promise. The intimacy of The Fringe – all holds its own addiction. If you revel in the little things, @joburgtheatre is an experience and not merely a venue. The productions are works of art, down to the finest detail. 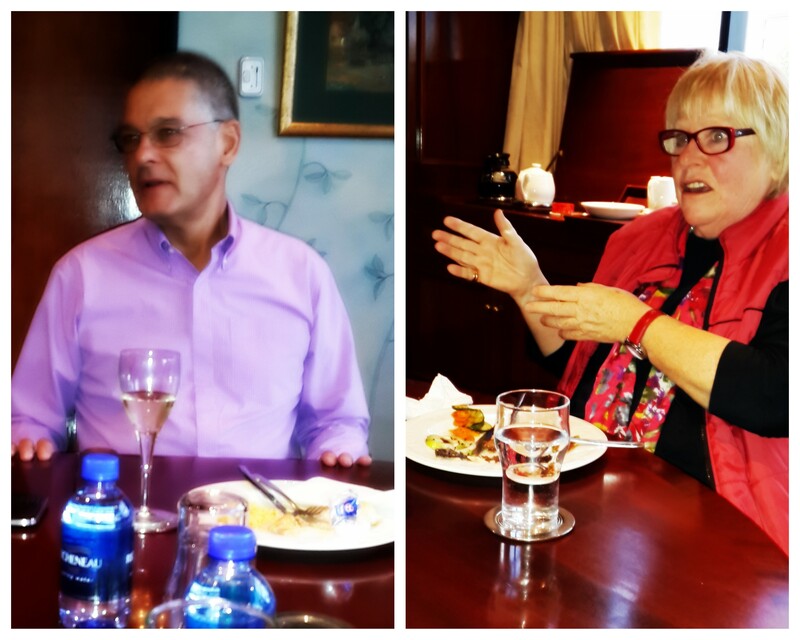 In the midst of focussing on my own positive change, being invited to lunch with the creative genius that is Janice Honeyman and the ever charming Bernard Jay who holds your attention with a flicker of mischievous laughter in his eye, is never to be turned down. I prepared a few questions before, but it seems @Jodenecoza and I are very much on the same wave length as our questions were almost extensions of the other. 🙂 Janice and Bernard is very clearly individuals who have happily worked together over many years. They have a friendship and excitement within them, that lights up a room. I was blessed to witness such a display of deep friendship with respect, an appreciation for each other. Janice and Bernard took us subtly through the worldly traditions of Pantomimes, the history, the sets, wardrobe, the casting of main characters almost two year in advance of the next Panto, the script writing and music (@_RoelofColyn – can this get any better!? All the nuts and bolts that it takes to create this wonder which has become part of Christmas tradition for so many of us was assembled as we listened and build it in our minds eye. Our goodbyes was relaxed and happy….filled with excitement as #AladdinPanto rolls out its magic carpet to all who visit the Genie in the lamp. The cast and crew are talented and sure about their skill set. Seeing the preparations I have to think “Wow!” – yet each December my loud “Wow!” becomes even bigger. #AladdinPanto has the handsome Prince, the gorgeous Princess, an Emperor, a shady Villain, a Genie that grants wishes – all in perfect harmony in song, hysterically funny laughter, written by Janice who again brings amazing dialogue, sing songs and humour for all ages! Visit @joburgtheatre Tickets: 086 167 0670 | http://www.joburgtheatre.com for more info on #AladdinPanto but more importantly to start this Christmas tradition with your family. I wish you song, dance, magic, glitter and laughter….oh and slush in the foyer!! Previous Article Another VIP Winner! Thank you #jhbpride!